Shri Gajanan Maharaj Prakat Din Utsav is observed in Magh month. It is not the birth anniversary but appearance anniversary festival of the great saint from Maharashtra, Shri Gajanan Maharaj. The most important activities on the day are held at the temple dedicated to the saint at Shegaon. Shri Gajanan Maharaj Prakat Din Utsav 2020 date is February 15. 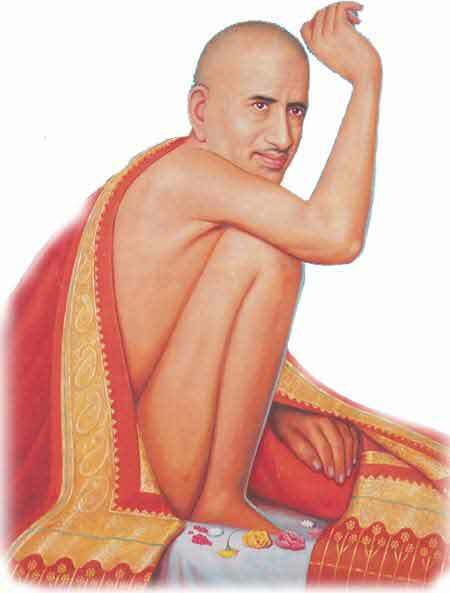 Shri Gajanan Maharaj Prakat Din is the day when the great saint appeared at Shegaon. As per Gregorian calendar this happened on February 13, 1878. When people first saw the saint he had worn just a shirt, had a dry gourd as his pitcher, a clay pipe for his smoke and nothing else. He had an aura around him.Eyes were focused on his nose. He had the radiance of morning glow. He performed innumerable miracles during his life time. He helped the needy, the diseased and the unfortunate. His miracles also made the arrogant and egotic people shed their wrong notions. The miracles performed by the saint is compiled in the book titled 'Shri Gajanan Vijay Grantha.' This book is a biography of the Saint. Shri Gajanan Maharaj was an avadhuta. His life was his teachings. Through his activities he spread Bhakti, love, wisdom and opened the path of self realization to many. He took samadhi on September 6, 1910. Thousands of people arrive daily at Shegaon to offer prayers, understand this unique Saint and take blessings. On the utsav day, Yaag Purnahuti and Awabhrut Snan are performed at 10 AM and then there is kirtan. Satsangs, prayers, pujas, charity and food donation are part of the festivities. Shri Gajanan Maharaj Prakat Din Utsav is annually observed on Magh Krishna Paksha Saptami tithi or the seventh day during the waning phase of moon in Magh month as per traditional Hindu lunar calendar followed in Maharashtra.